I’ve been branching out more in what type of quilts I’m tackling these days, and I’ll admit that I got sucked into the My Small World quilt frenzy, which rather surprised me! The pattern is by Jen Kingwell, and features in the Spring Special edition of Quilt Mania, photo at the top on the back cover. There are 2 language versions of this, French and English, but the good news is that the English versions seem to be hanging out in many good newsagents and bookshops in the UK and North America (and no doubt other countries too, I just haven’t seen any mentioned), and if they’re not available near you, you can find it online easily enough. The only thing is that at 33” x 52” it’s quite small, and I really like to sleep under my quilts, so the only way to go, in my mind, was to ‘supersize’ it by increasing the size of all my pieces to bring it up to a desired width, and then repeat a bunch more blocks at the bottom to get the required height because frankly the idea of just making a zillion more teeny blocks to add to the top nearly made my head explode ;o) I happened to mention this on IG and was asked if I would post some tips on how to go about it, so here goes! In the cutting instructions, the letters are not in order, so don’t panic if you find you’ve suddenly leapt up a large chunk of the alphabet! 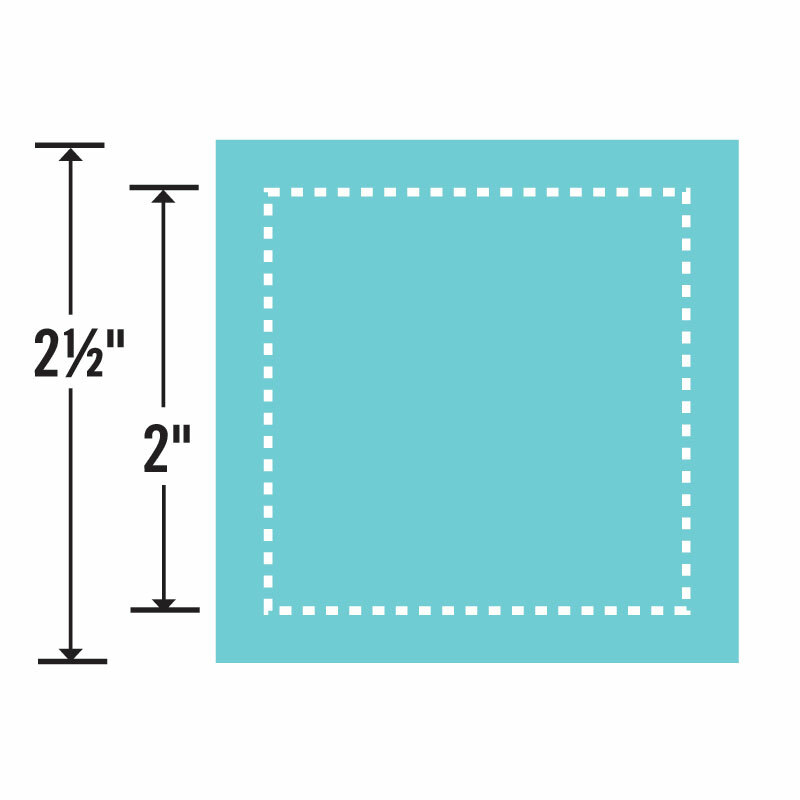 The text instructions show the size of fabric to cut, the images show the finished size of the piece and the templates are the finished size. What this means is that you’ll see different numbers next to the lettered sections between the images and the cutting instructions, don’t panic, it’s deliberate! 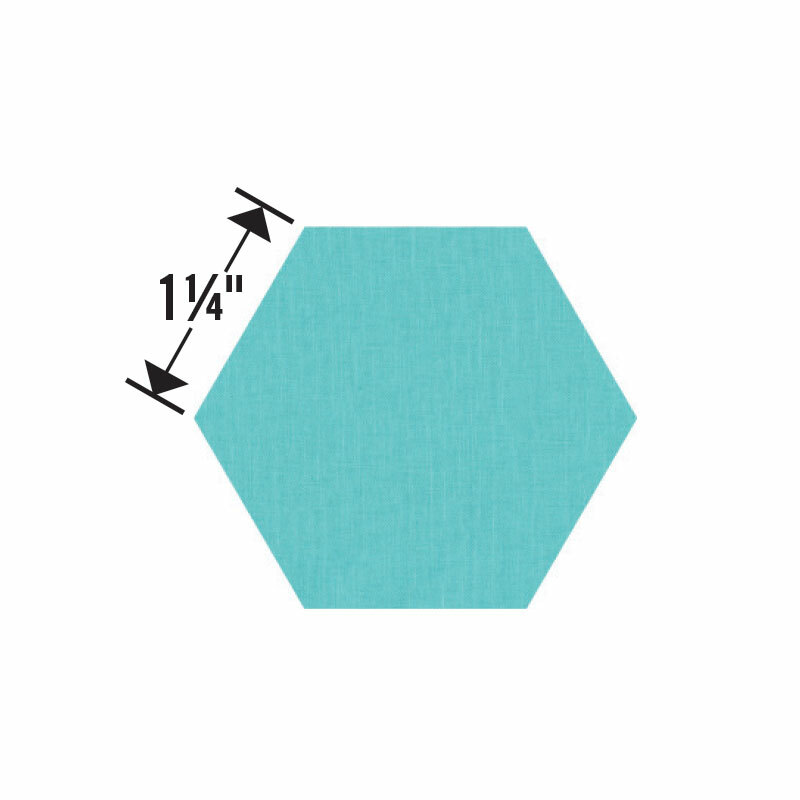 For the templates, you need to remember to add your ¼” seam allowance all around. So how to supersize it… I suggest you do the next bit in a spreadsheet, you can do this on the computer or old school on a piece of paper, whatever works for you. To start with you need to establish how much bigger you want to make it. For the ease of maths I would suggest making it a whole number, but if working in 1/16ths of an inch floats your boat, I’m certainly not going to stop you increasing the size by 1.67 or something like that! Now you will need a column in your spreadsheet for the original FINISHED size of each lettered piece. In the next column you will need to work out the adjusted FINISHED size. 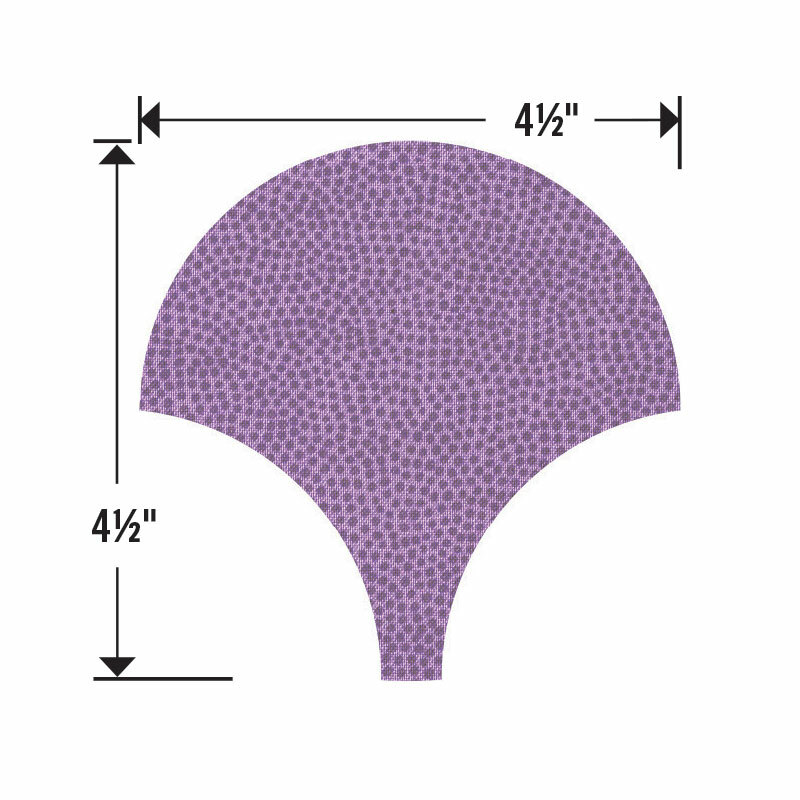 You need to use the FINISHED size rather than the cut size because you’re not increasing your seam allowance too. Do you think I got enough capitalised ‘finished’s in there to make a point?! I doubled the size of all my pieces so for example where A was originally a 2” finished square, my A is now a 4” finished square. 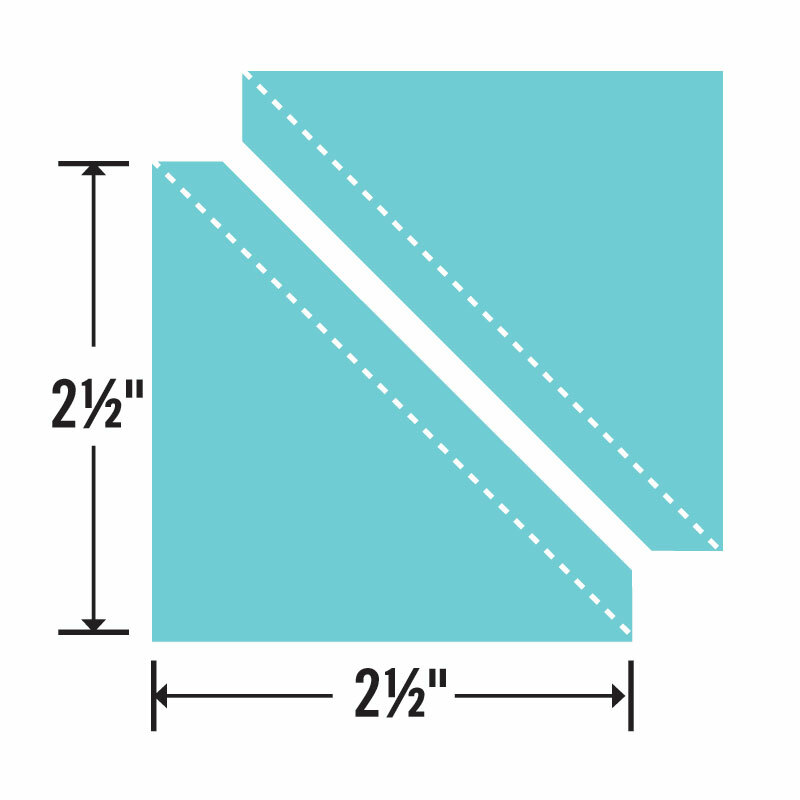 Once you’ve worked out the finished size, you can work out the cut size by adding ½” to the measurement for each side to take account of the ¼” seam allowance all around, so my A square is cut at 4 ½”. For my templates I carefully traced them all from the magazine (as I find photocopying thick magazines leads to distortion near the spine), then I scanned the tracing into my computer and went over all the lines in Illustrator before doubling the size of each piece. That might be slight overkill, you could probably just as easily photocopy the tracing at 200% or whatever your chosen size is. Note that if you go up to 200% you will need A3 sized template plastic rather than A4 size in order to fit some of the larger arch pieces on. I then went through and worked out how many of each piece I needed for each section for each type of object, eg LV for the sky, green for grass, all the buildings, windows, roofs etc. You can skip this bit if you like flying by the seat of your pants, but I just like to know what I’m doing up front, not least to see if I need to round up more fabric than I have planned for the quilt. The final part will be to decide exactly which blocks you want to repeat to make it long enough. For mine, I’ve worked out that I need it to be half as long again, but that’s the bit I haven’t quite got to in my spreadsheet yet! They play together nicely IRL, I promise! So are you joining in the QAL? Are you going for the original size, or are you supersizing yours too? I've ordered the magazine from France. Jo from Life in Lists has another way to resize this one with some additional parts. It is going to be interesting to see how everyone makes this quilt. Thank you for the tips, I have been thinking about resizing much as you are planning, we shall see. I think I'm going to lay down in a dark room!!! Wow you have done some work on this!!!! Love your fabric choices…This is definitely a pattern that will look completely different depending on which fabrics people use. Cant wait to see how yours comes together. Thats a few editorial errors you've picked up . You should be getting a percentage of the royalties ! I thought it would make a nice wall hanging for my daughter's room, so I'm going with the original size. Turns out my local newsagent will be stocking the magazine … but as always we will get it a little latter than everywhere else in the world lol. Looking forward to seeing your up-sized version and thanks for the heads up on the typos in the "destructions". This is really helpful. Thanks. I'm doing the qal but at the original size but all your comments about the errata etc I shall carefully note in the pattern. Like you I'm surprised at myself as this is really out of my comfort zone not least because this this will be a stretch being relatively new to quilting. But armed with blogs like yours I'm in with a fighting chance. I love the fact you can personalise it which I'm going to try and do with places/ buildings meaningful to my world past and present. Hoping there will be some Tobermorybhouses there and some Scottish mountains! Oops with the comment above I'm not sure I clicked 'notify me' and whether I'm therefore anonymous. This time I will get it right! I like your idea of super sizing. I'm still waiting, three weeks and counting, to see if I ever get my copy from Quiltmania. Im also still waiting on a reply from my email to Quiltmania, to find out what is happening with my order. Note to self, don't order direct from Quiltmania again, as this is the second time that an order from Quiltmania has gone walkabout. That's two out of two, so 100% strike rate. Do I sound annoyed? We get the magazine at our shop…I only work two days a week…it came in during the time I don't work and was sold out by the time I came back the next week…gone in three days and we can't get any more. Found it online and have added it to my to do list which is very long! I don't think I'll do the whole thing…just portions of it like the left and the right leaving out the center and on the wall it will go. I probably can't get my head round this but as I'm not doing this it doesn't matter. However, the first thing that put me off this QAL was when I realised how small the quilt was! 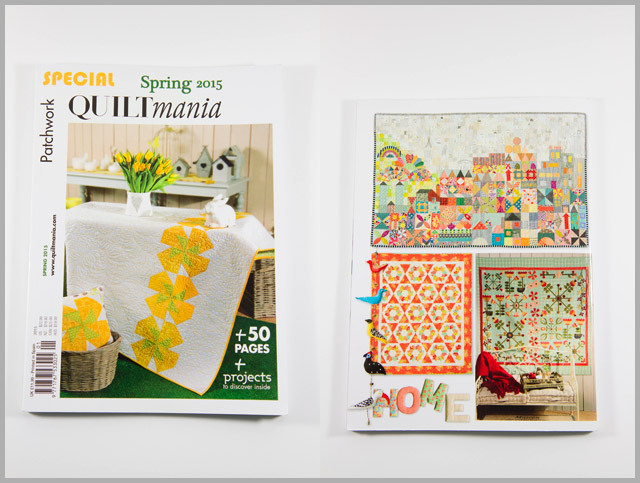 I'm still contemplating whether to play along with this or not ( it took Quiltmania forever to send the mag!). 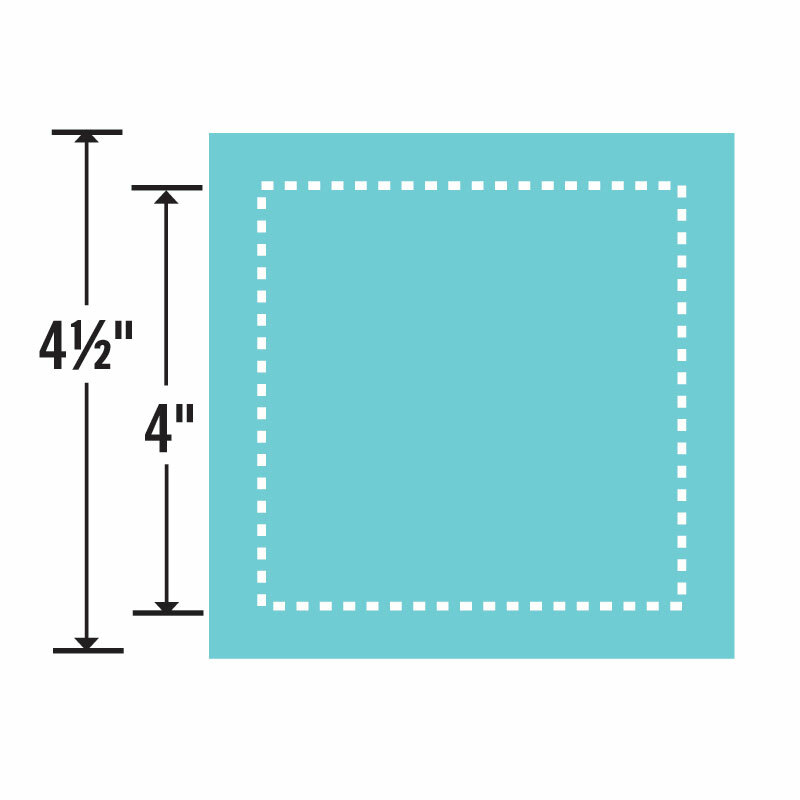 If I do , I'll be supersizing but to make life easy just doubling up the block sizes and like you adding to the top and bottom. Thanks for the errata tips, very useful. I'm planning on strip piecing as much as possible if I ever start! I LIKE TO SLEEP UNDER MY QUILTS TOO BUT THINK ILL STICK WITH THE SMALL WALL Hanging on this one. Your help in super sizing it will be greatly appreciated by many. I'm sticking with the original size, as I know I won't have the patience to do any more than that! Thanks for all the errata Katy! Katy! You have done us all a very valuable service! 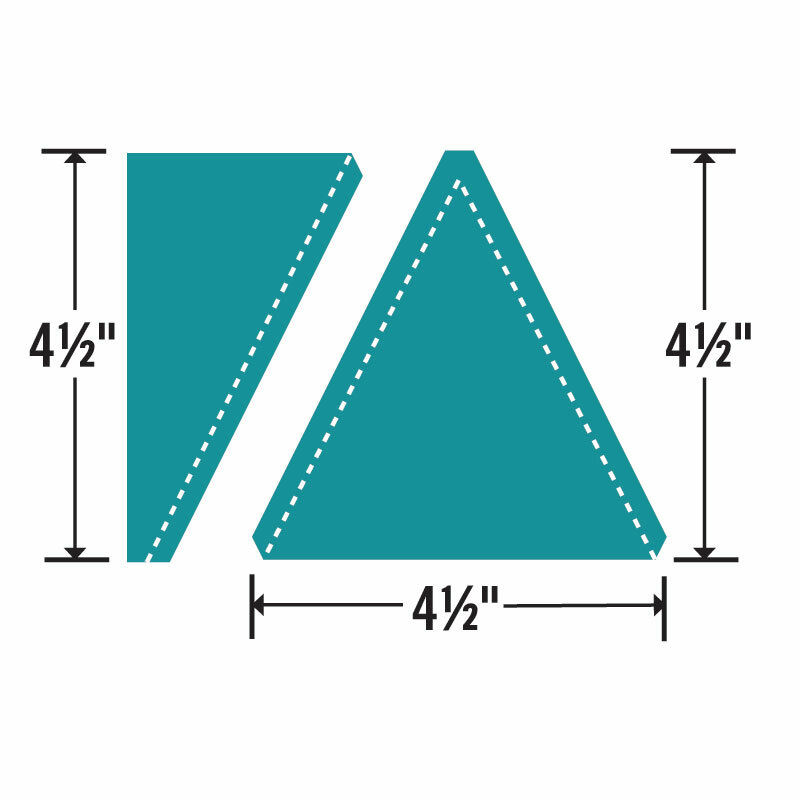 Why make templates for squares, rectangles & triangles? 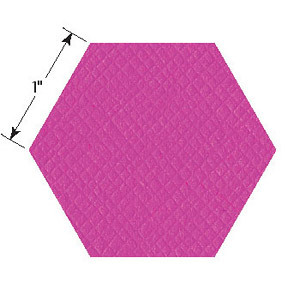 Thank you so much for the size charts & instructions on how to do the HST, QST & flying geese blocks! I do think I'll supersize tho' the minute I read "spreadsheet" I did groan a bit! Thanks too for the errata heads up! ok. I'm jumping on board. I might just make mine up as I go along as I don't care for pinwheels. What a blast it is to choose fabrics. You're is going to be SUHWEET when it's FINISHED!!! I'm enjoying watching everyone's progress and I love your fabric choices! Not sure if I've got my head wrapped around all that just yet, but it will certainly be helpful! I absolutely love this quilt but was put off by the small size. Your post has encouraged me! I think I'll call my local book store to see if they have the magazine and then start pulling fabrics. Thanks! Great post Katy – I plan to stick with the original size although I am sure it will make my head explode too.